Hi lovelies! It's been a while! Or at least it feels like it has, I hate not posting for a few days, I miss you guys! Before I start on this post, I'd just like to say how pleased and surprised I was at the response to my last post, 'Things Blogging Will Do To You'. I couldn't believe how many of you left comments saying you agreed with me and enjoyed the post. I love writing fun posts like that so getting a response like that is just so lovely. I'd love to know if you'd like to see more posts like that, as they're lots of fun to write along with all the beauty posts and reviews. So, anyway today's post is a review of this scrub I was sent from the lovely people at St Ives. I'd never actually tried a St Ives scrub before, despite hearing loads about them, so when they contacted me I jumped at the chance! I received the Blemish Fighting Apricot Scrub, which is perfect for me at the moment as my skin gets quite oily in the summer and while I don't get too many spots, it is definitely more blemish prone this time of year. Despite this though, I still don't like very harsh scrubs as I am prone to redness and if I use a very scratchy scrub, I can get red patches particularly on my cheeks and nose, which is definitely not a good look! So, I've been using this about three to four times a week for the past few weeks since I received it and I've really enjoyed using it so far. The first thing I noticed was the scent, it's quite light and fruity without smelling too perfumed, or chemically, which I really like as I don't love overly scented face products. It definitely meets my demands when it comes to exfoliators too! It's very gritty so it definitely feels as though its doing the job, but it has quite a creamy texture too, without feeling oily or thick. This creaminess makes it feel gentle and soft on your skin, while still feeling like its getting right into the pores. It really does get into the pores too, the pores on my nose get blocked much easier than any other area and this is amazing for clearing that. I know I'm not alone with this problem either so if blocked pores around the T-zone are an issue for you, I'm sure you'll love this! Overall, I'd thoroughly recommend this scrub, particularly if you have blemishes, or oily skin. 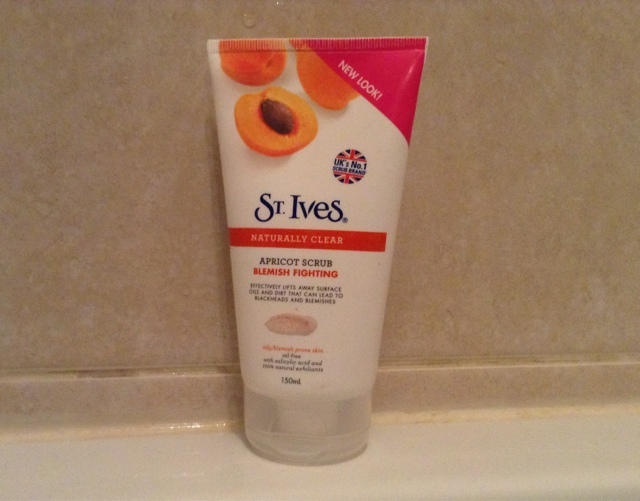 I know there is another St Ives scrub for normal/ dry skin, which may suit you better if you have dryer skin, but the apricot scrub isn't drying at all, so if you have blemishes or clogged pores, definitely go for it! What do you think? Have you ever tried this scrub? Let me know! P.s sorry for the crappy photo, I'm blogging from my iPad and took the photo on here! This looks good, I have a Vitamin E scrub at the moment as it is better for dry skins, but once my skin is a bit better I'll have to try this! This looks good! 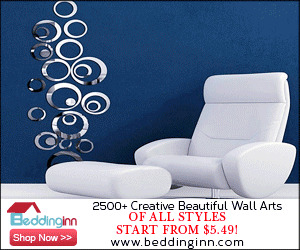 Thank-you for sharing! Thank you for this post. I've been looking for a perfect exfoliator for so long. Can't wait to give this a go!! I love this scub, it always makes my skin feel amazing! I bought this a while ago. I have dry skin and I didn't realise (me being stupid)that it was for oily skin and this product just really didn't work for me! But, you said that there's one for dry skin so I might have to check that out! Thanks. I have not used this before... so your post is helpful for me! great review Chloe! I haven't tried this one but I have been using the original apricot scrub from St. Ives which I love! it smells so delicious and works great! i want to try this. apricot sounds yummy.. Anyway, thank you for the inspiration Chloe!